Alpine Insurance is a family owned insurance agency. From property and casualty to employee benefits, Alpine Insurance strives to maintain its reputation for excellent coverage, service, and competitive pricing. Our professionals review accounts annually and look to new markets for our clients. This helps to insure we are putting together the best option available to us. Alpine Insurance will continue to distinguish itself among insurance agencies as the leader in obtaining and retaining quality customers and employees who create value to their mutual benefit. Our success is accomplished through an organization of dedicated and knowledgeable employees who strive to achieve excellence in service, product and community involvement. Our agency was founded in 1945, the name changed to Alpine Insurance in 1970. Today, Alpine Insurance has grown to be the largest family owned independent insurance agency in Nevada with three locations. 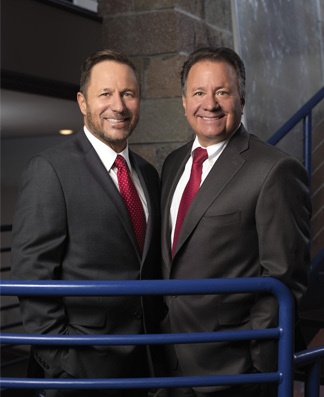 Our two principals have more than 75 years of combined insurance experience. From property and casualty to life and health, Alpine Insurance strives to maintain its reputation for excellent coverage, service and competitive pricing. 2016 National Alliance-Nevada Outstanding CSR Winner.